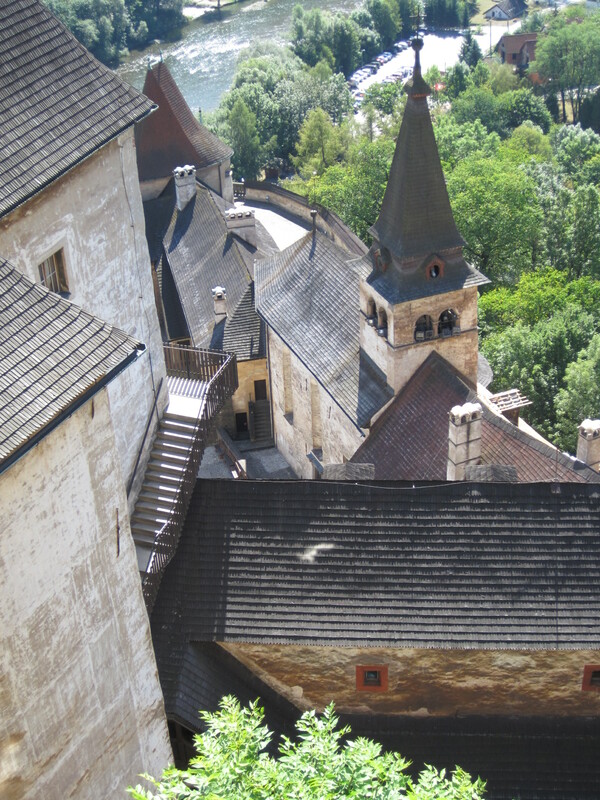 The beautiful renaissance mining town of Banska Stiavnica nestles in a wooded valley. 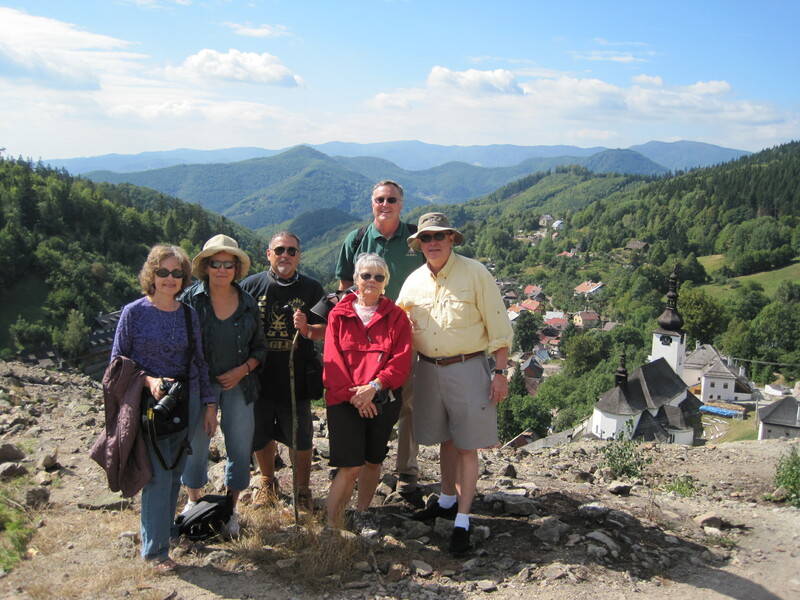 Our Slovakia Heritage adventure begins in Vienna for our morning drive through the rolling Danube plains to the 14th century mining town of Banská Štiavnica, nestled in a richly-forested valley. 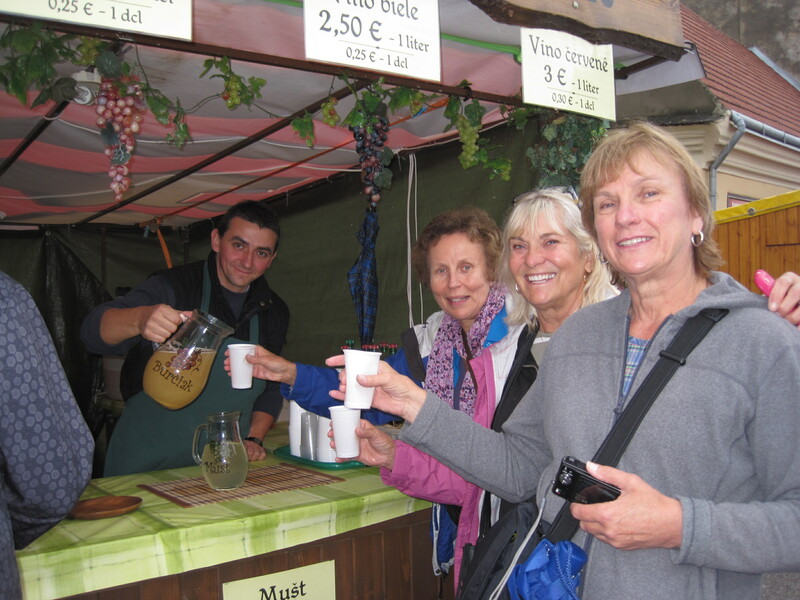 After lunch(included) we’ll tour the castle and the Renaissance Main Square. 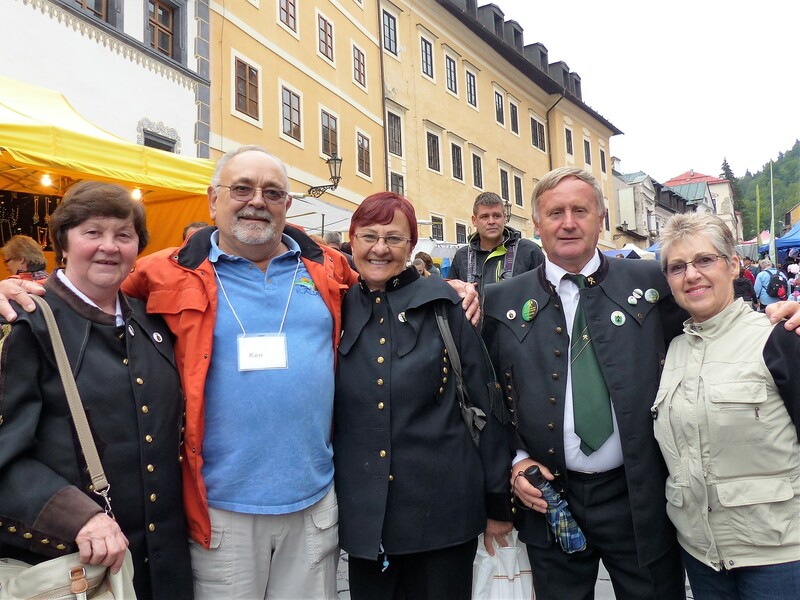 We’ll join in the fun of the town’s age-old Salamander Festival which brings together mining guild members from all over Europe. 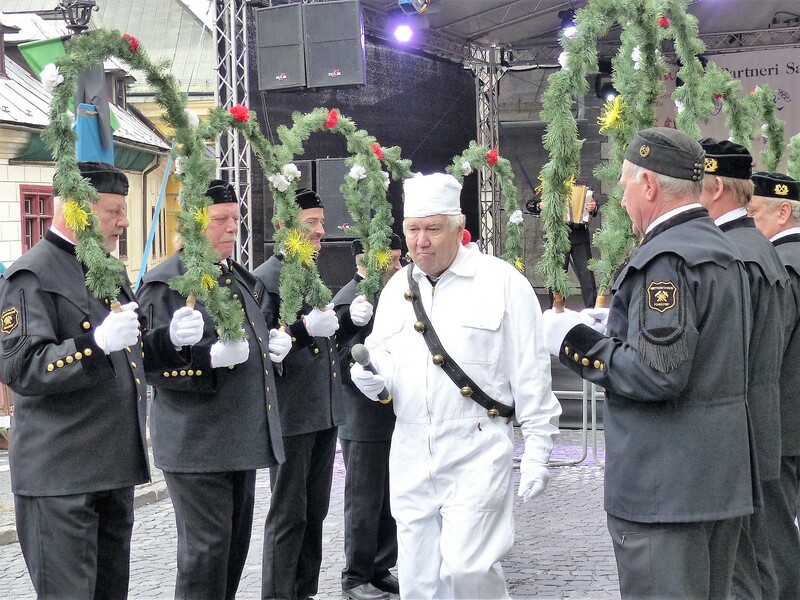 In the late afternoon, we’ll settle into the Hotel Kuria, in the quaint city of Banská Bystrica . 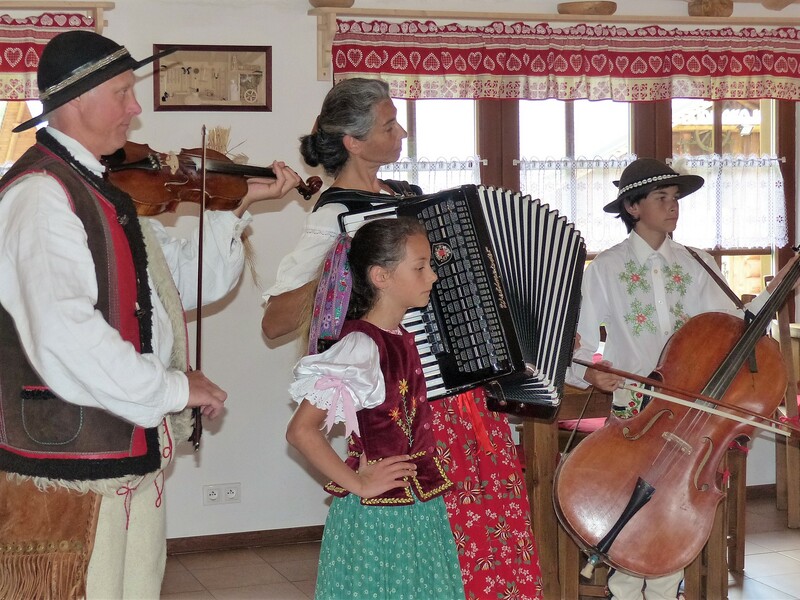 In the evening, we’ll gather for our Welcome Dinner (included) which will feature a special fujara performance. 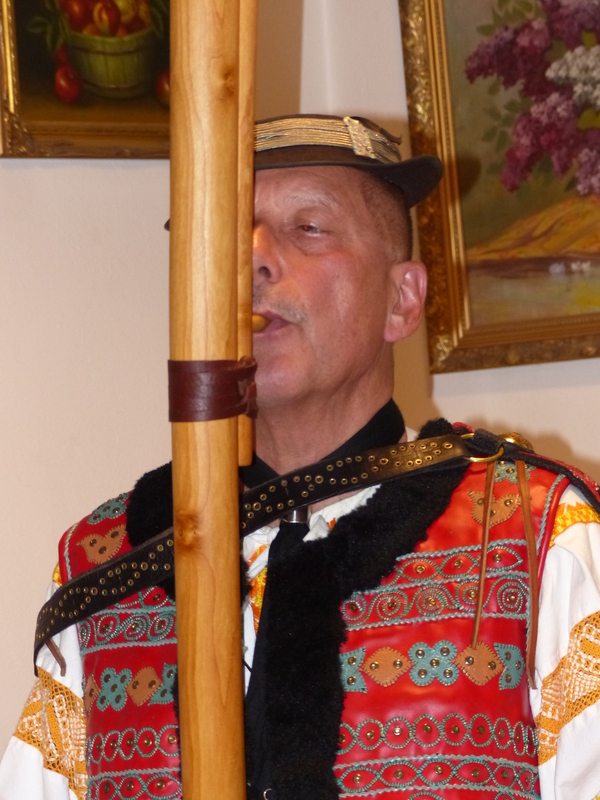 A uniquely Slovak shepherd’s flute, the fujara has been named to the UNESCO cultural heritage list. 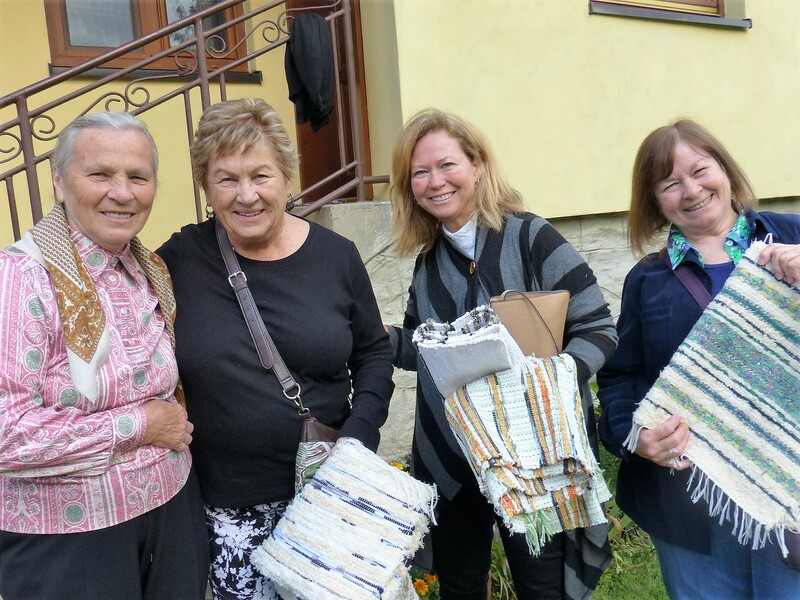 In the morning, we’ll step back in time in the ancient mining and lacemaking village of Špania Dolina, in the hills just outside of Banská Bystrica. 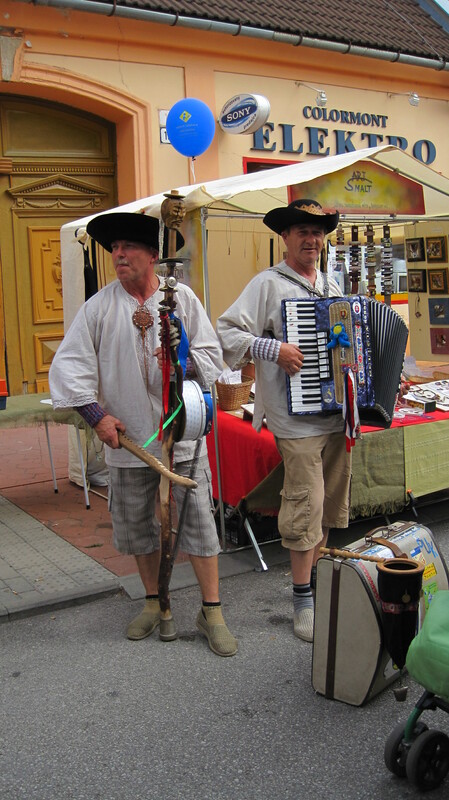 We’ll walk the village and forested lanes(at your pace) and visit the mining and lacemaking museums. 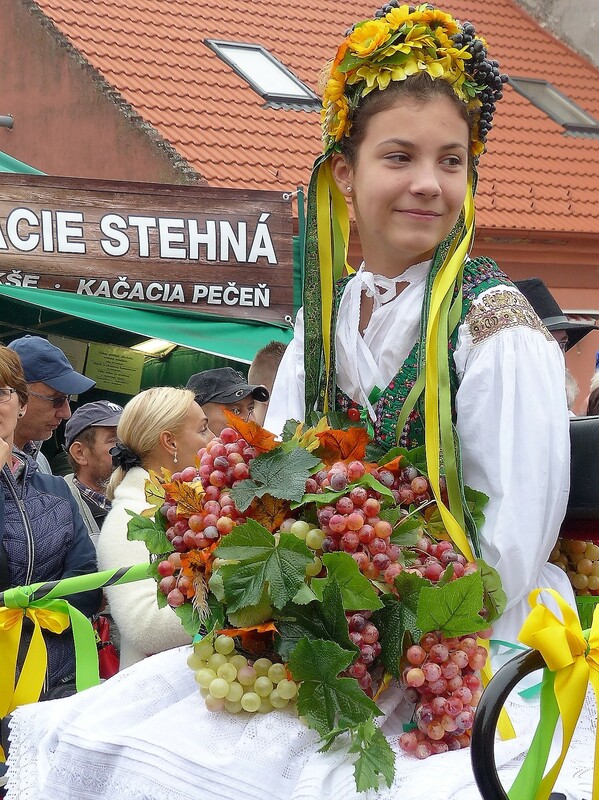 The afternoon will be yours to enjoy the 400-year old Harvest Market Festival which fills the Banská Bystrica’s beautiful center square with booths to browse and perfomances to watch…both traditional and contemporary. 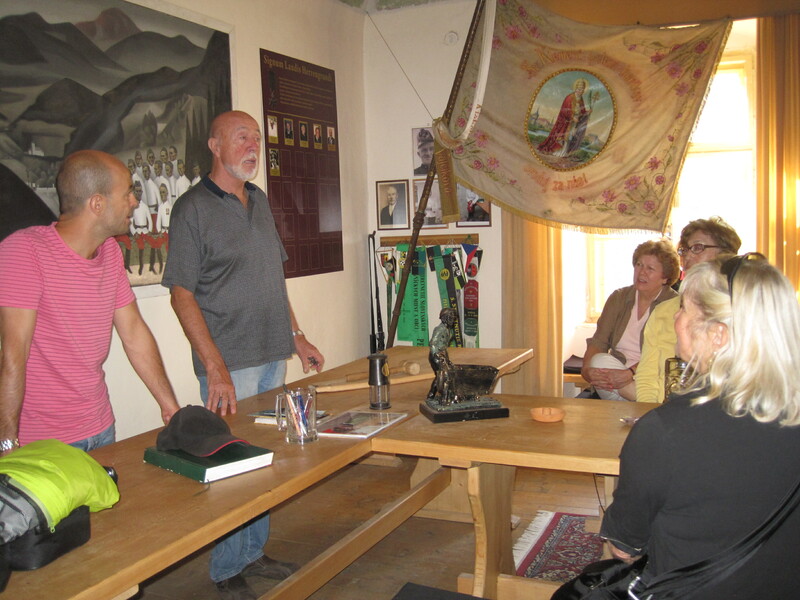 You can also delve into World War II history from a Central European perspective at the Museum of the Slovak National Uprising, shop, or relax and enjoy a contemporary spa. 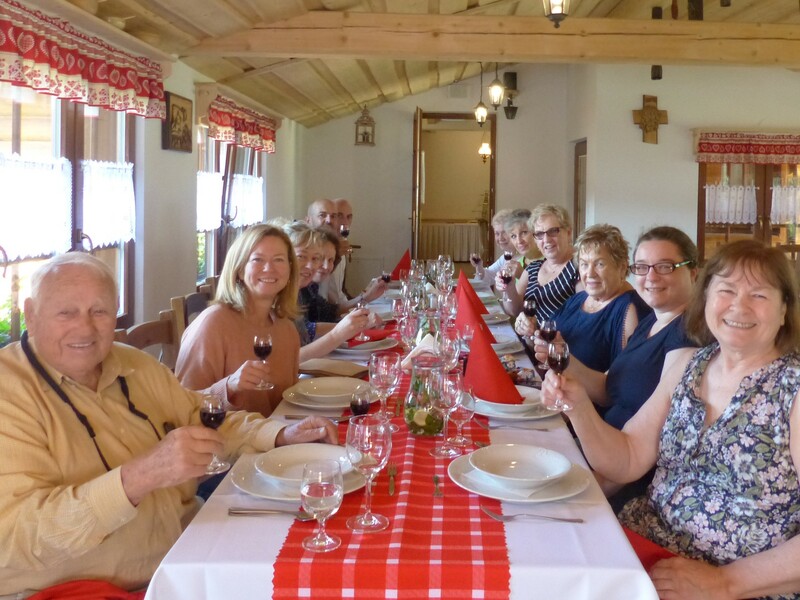 In the late afternoon we’ll gather for a Wine & Cheese reception to go over the tour itinerary, answer questions and practice every day expressions with an introductory Slovak lesson. 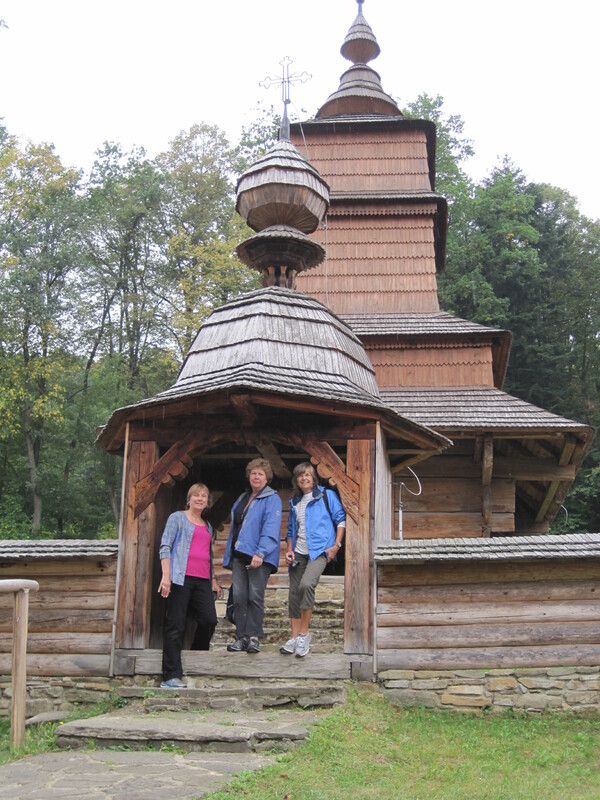 A short walk through the village of Spania Dolina. 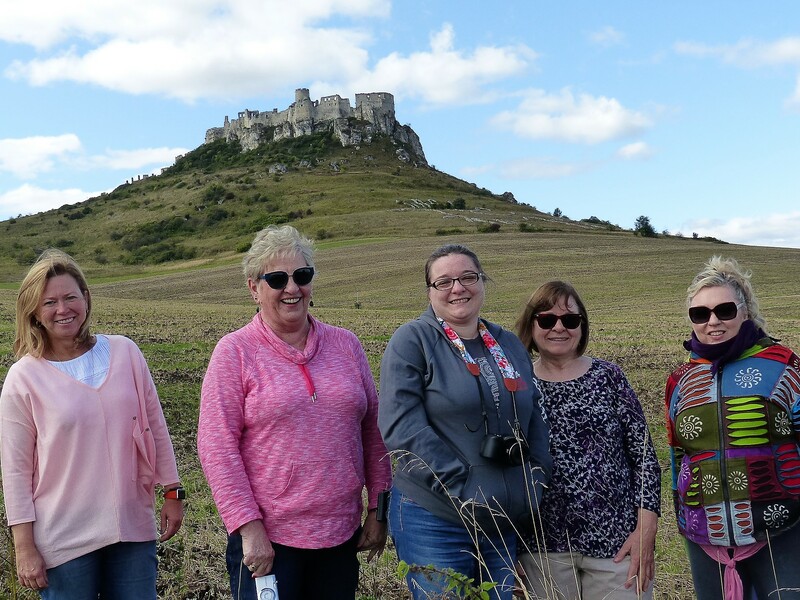 In the morning, we’ll travel through the beautiful landscapes of the Mala Fatra Mountains, stopping to visit the dramatic Orava Castle. 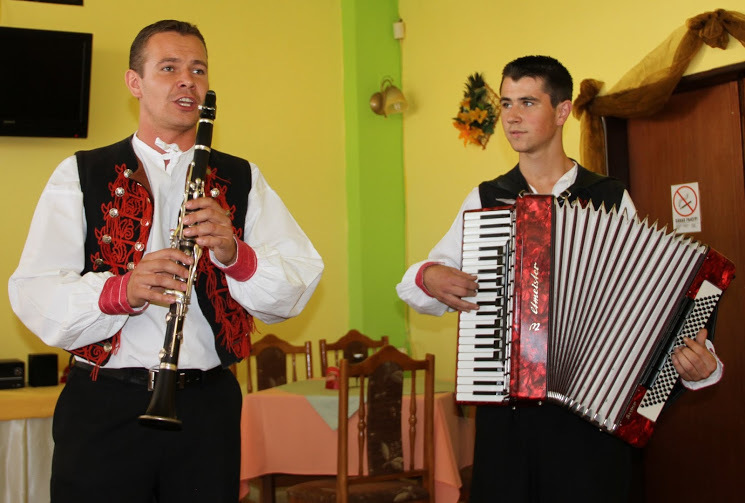 Oravan folk music and dance will entertain us during lunch(included) at a typical Koliba, shepherd’s restaurant. 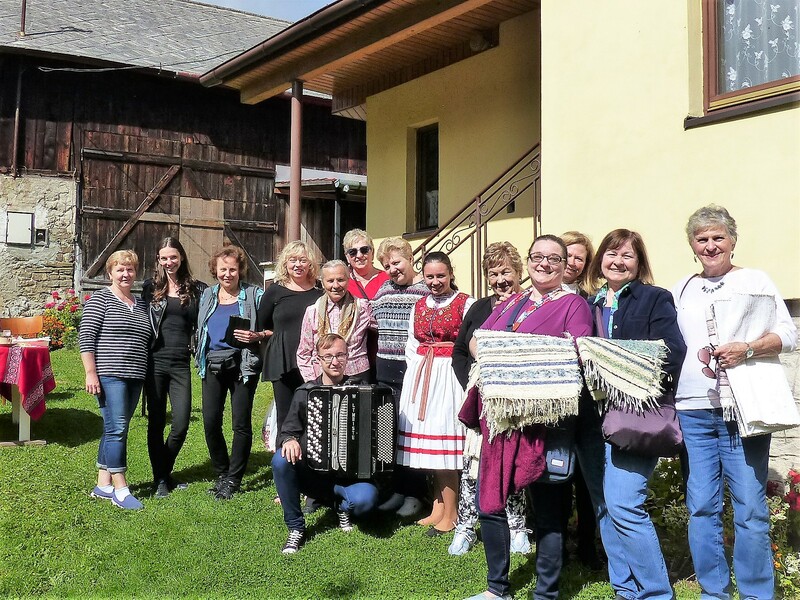 In the afternoon, we’ll stroll through the 19th century Zuberec museum village to see what village life was like when many of our ancestors left Slovakia. 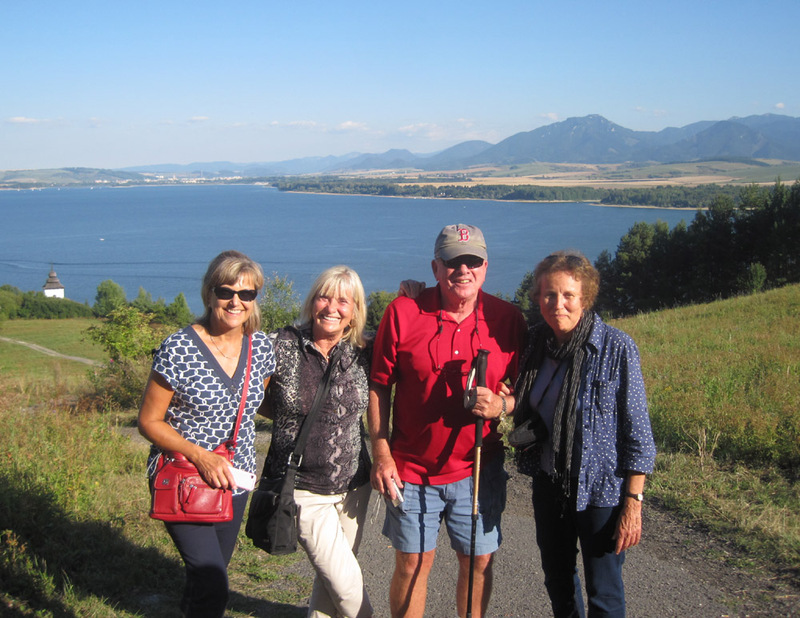 Driving through the picturesque Liptovsky lake region. 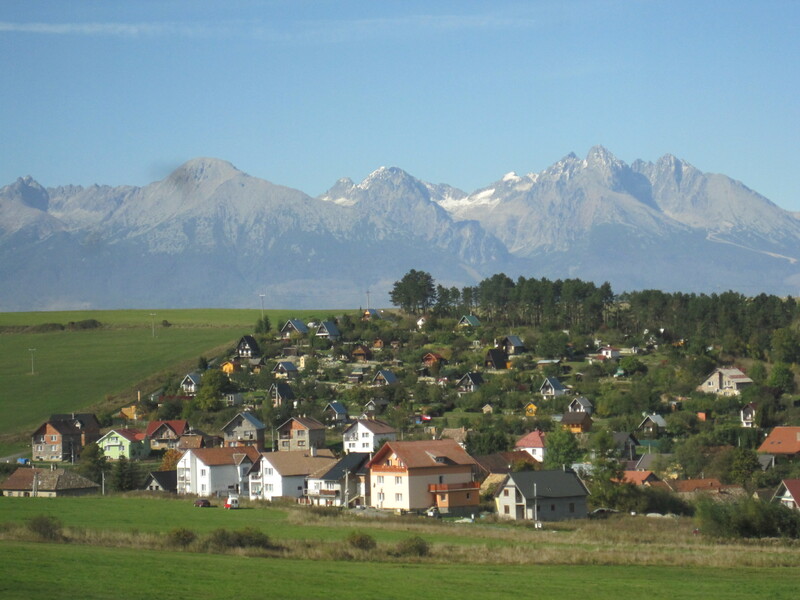 we’ll arrive at the classic Grand Hotel Smokovec in the heart of the Tatry Mountains to relax and watch the sun set on the mountains. 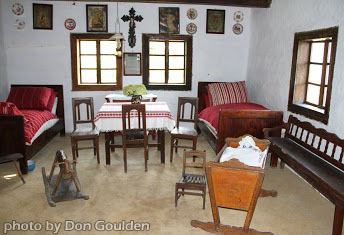 A traditional Saris farm house. 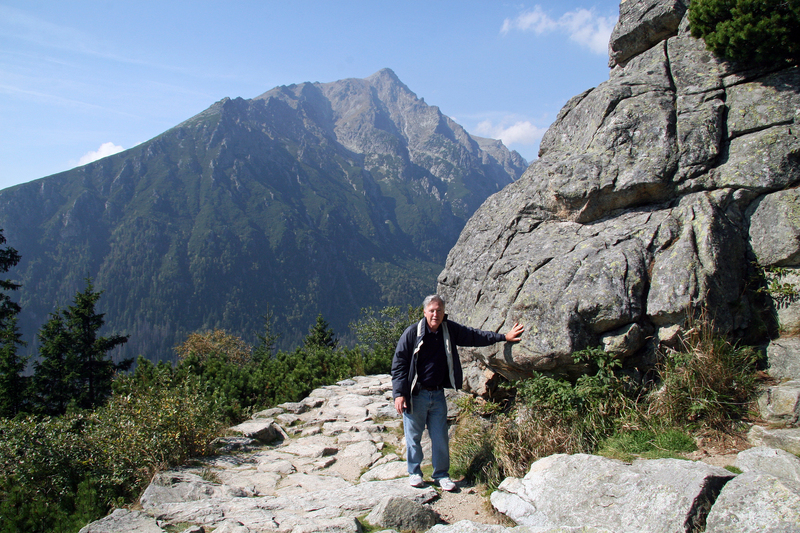 You can enjoy the beauty of the Tatry Mountains at your own pace. 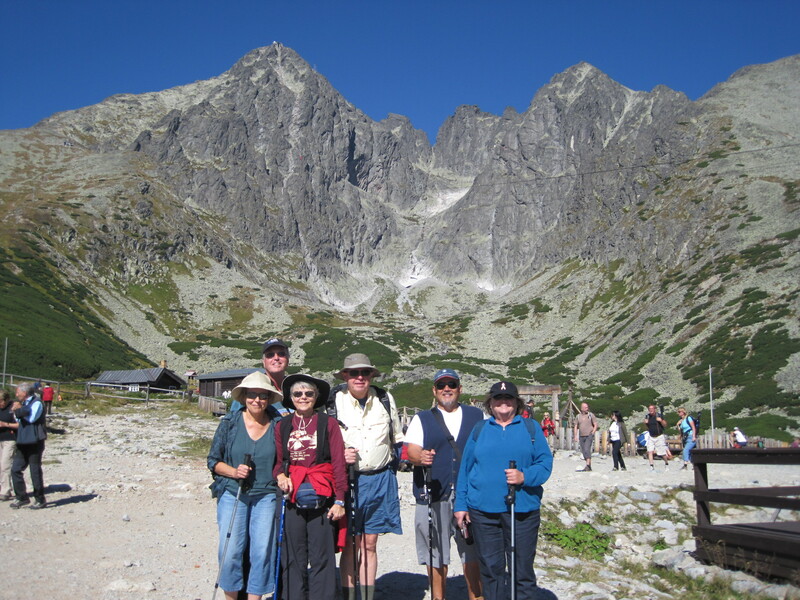 There are several options for a day of out-door, scenic adventure in this dramatic small alpine range or relaxing in the resort towns, including taking a gondola to the top of the range, traveling the light rail train through the resorts, shopping, and taking short or long hikes in the mountains. 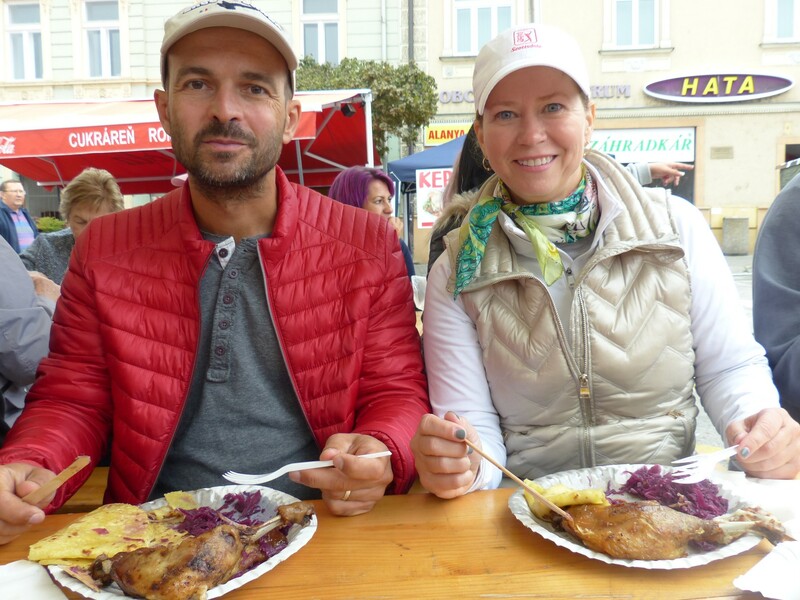 In the evening, we’ll enjoy dinner at a typical mountain chalet restaurant. 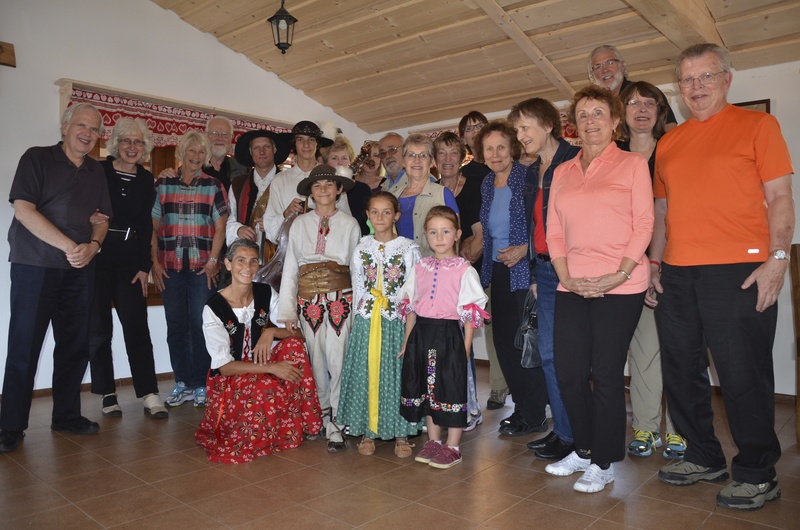 Optional personal family and village visits can be arranged. Rudy starts the hike down. 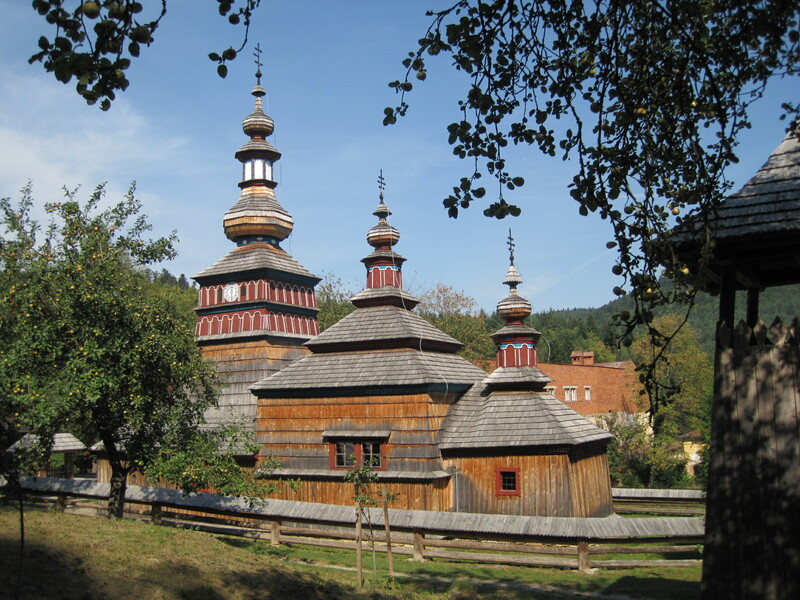 We’ll travel from the High Tatry Mountains to Bardejov with a surprise stop along the way and a visit to one of Eastern Slovakia’s famous wooden churches. 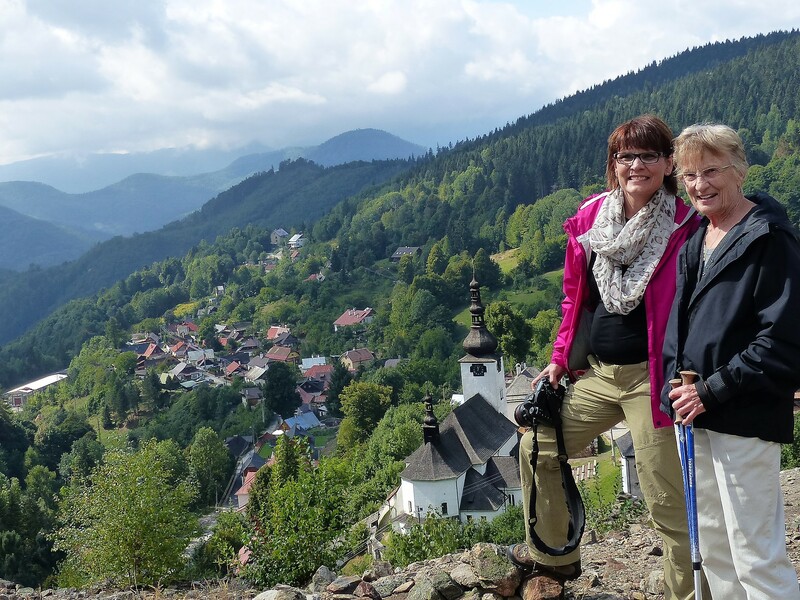 After checking into the Hotel Pod Branou in the heart of the city and lunch(included) we’ll explore Bardejov from the classic 19th century spa and Šariš museum to it’s exquisite medieval center, visiting the Basilica of St. Egidius with it’s many carved altars, and the Icon Museum. 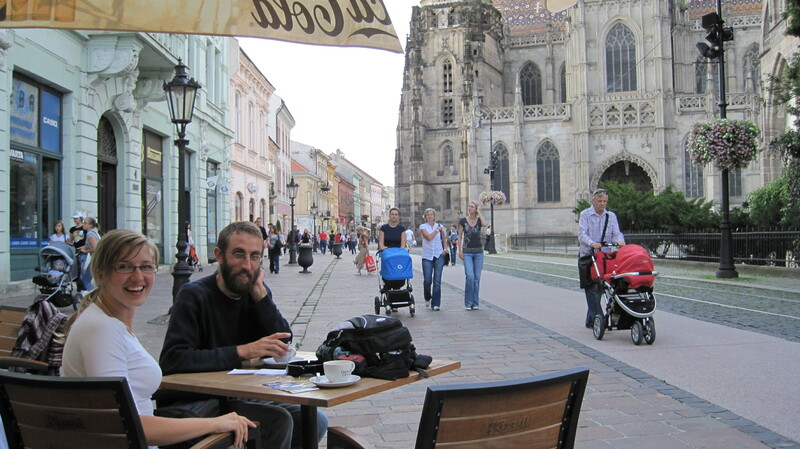 You can relax in a cafe and take in the atmosphere of the central square before dinner. . 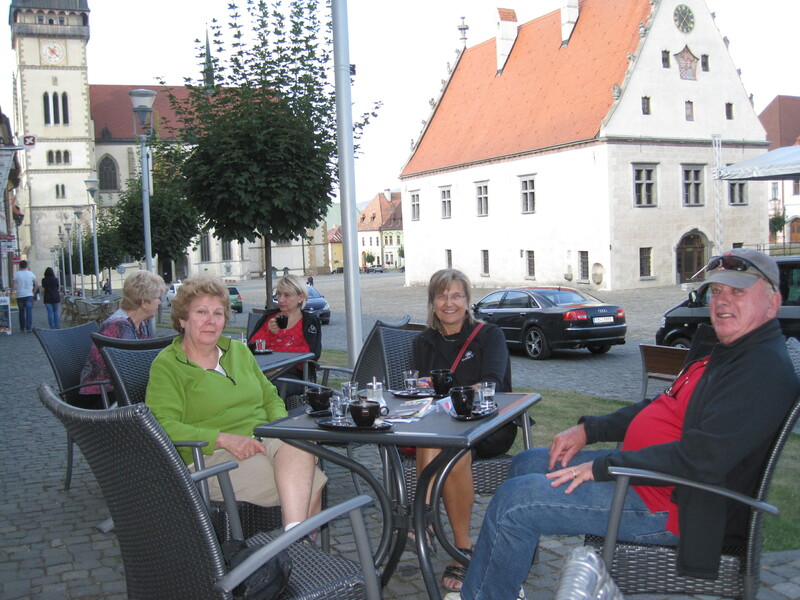 Relaxing in Bardejov’s medieval square. 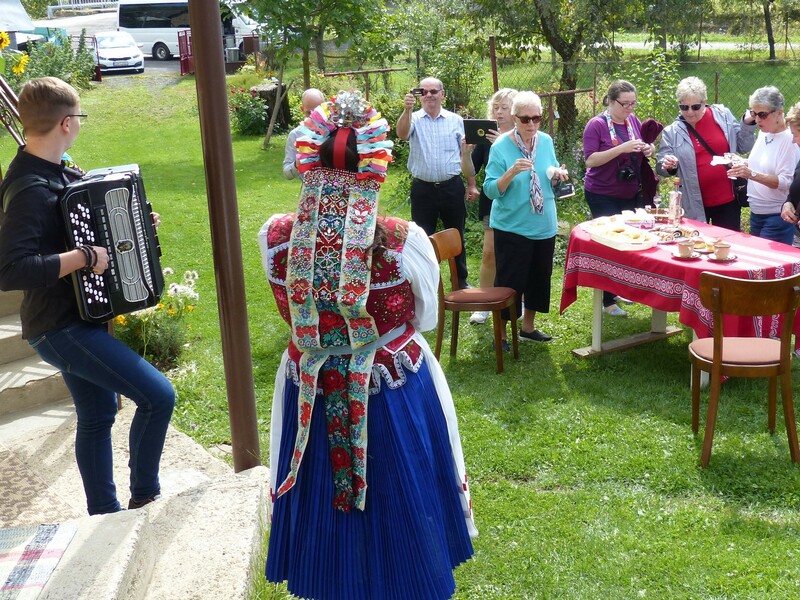 In the morning, we’ll travel through the lovely stream valleys ringed by high pasture fields and farm land of the Šariš region to visit a weaver and her talented family in a small Rusyn village at the edge of the forests where people still preserve the old musical and craft ways of life. 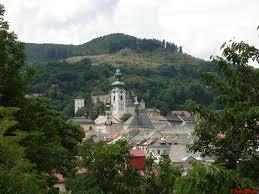 Later will cross the low hills to the medieval, pilgrimage town of Levoča. 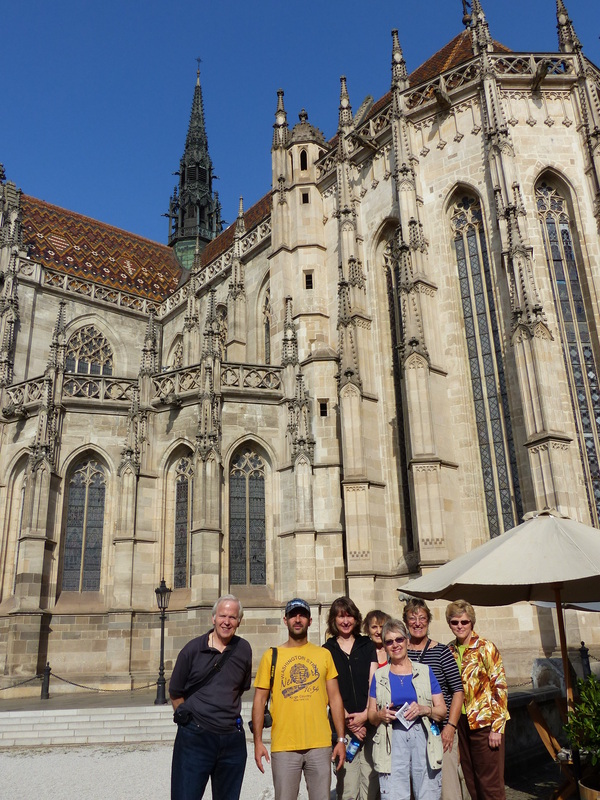 After lunch(included) we’ll visit the large, exquisitely-carved altar in St. Jacob’s Cathedral by 15th century master woodcarver Master Pavol; the museum of his work; and other important Levoča historic sites. 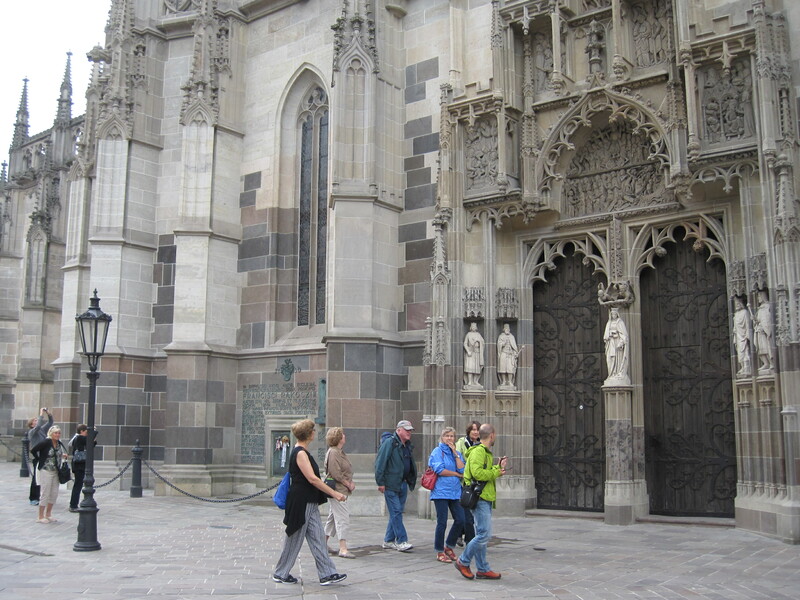 In the evening, we’ll walk the beautiful central square of Košice before settling into the Hotel Doubletree by Hilton, in the heart of the city. 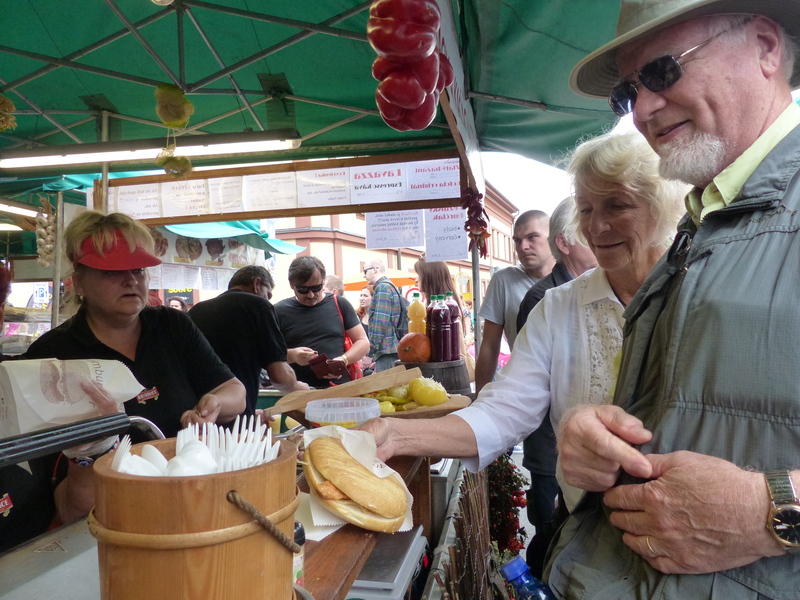 Leaving Košice, we’ll start the trip back to Bratislava through the rolling hills and valleys of the Spis region with stops along the way. 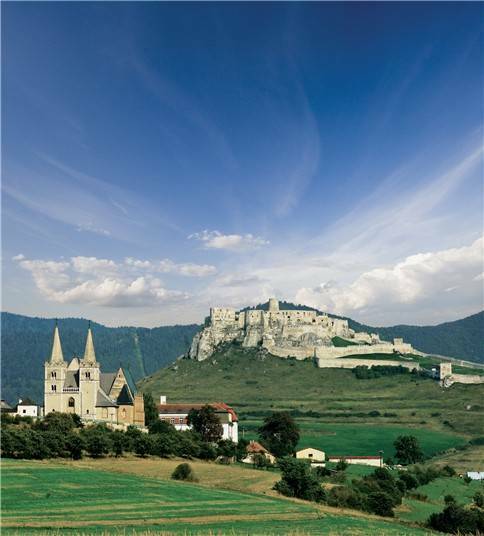 We’ll explore the ruins of the majestic Spis Castle, one of the largest castle ruins in Europe. 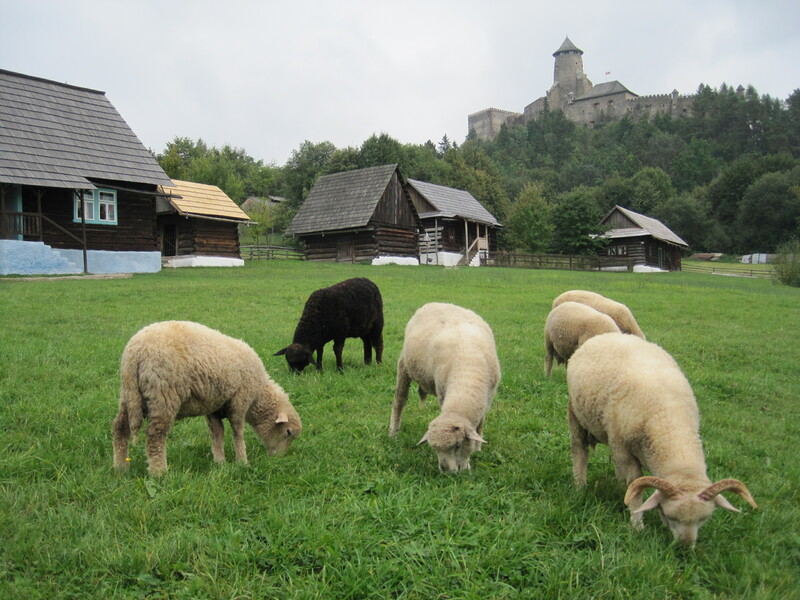 We’ll visit the Romanesque Cathedral of St. Martin in Spisska Kapitula, known as the “Slovak Vatican,” a walled ecclesiastical village since the 12th century. 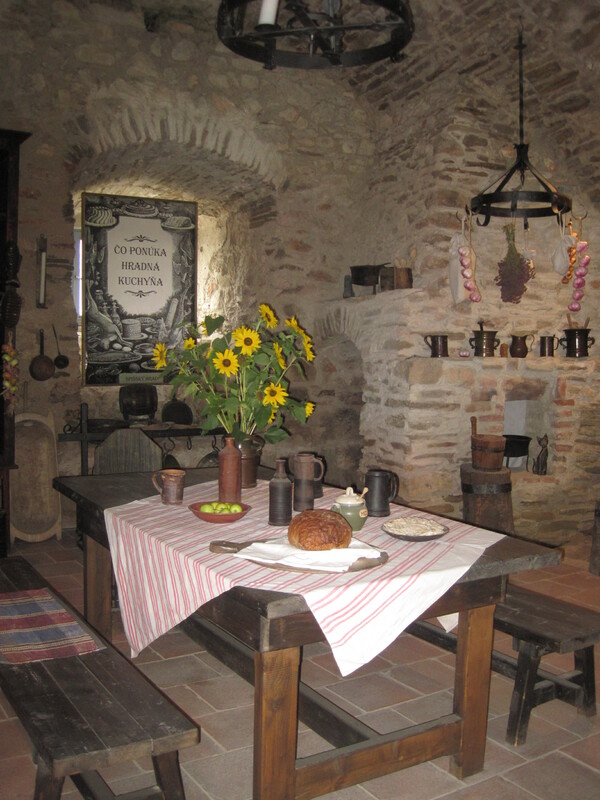 On the trip home, we’ll have lunch(included) at a Salas, a traditional shepherd’s farm. 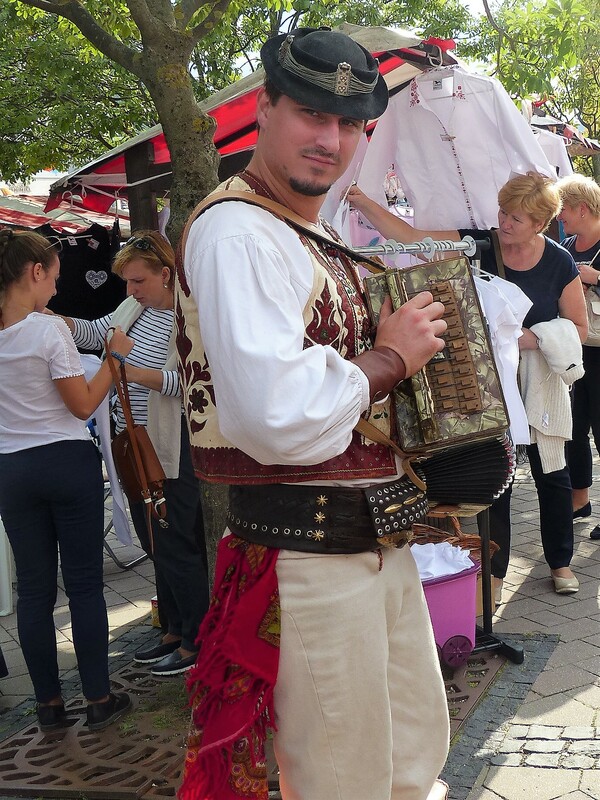 Fall in love with Slovakia’s modest but elegant small capital with a morning guided tour through the Old City and a stop at the city’s fortress castle for panoramic views of the city and the Danube. 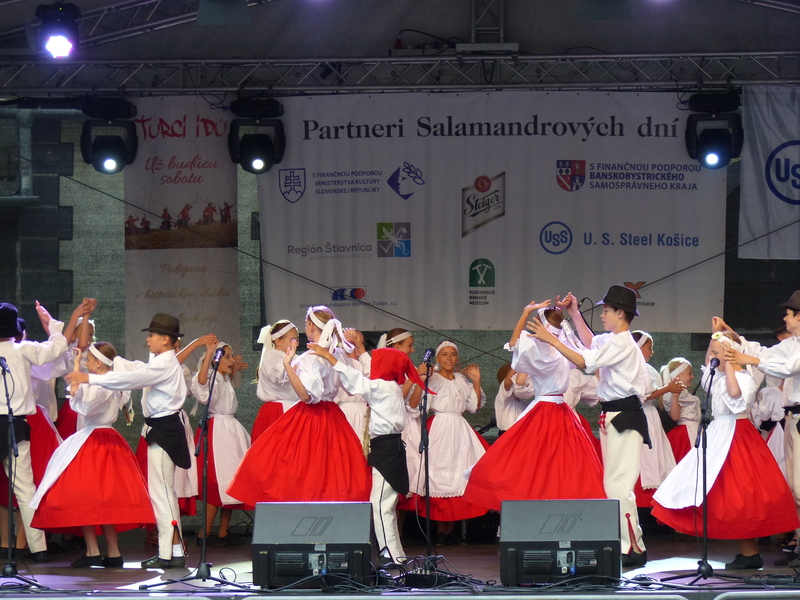 In the afternoon, we travel to the Small Carpathian Mountains near Bratislava to enjoy the music, crafts, local excitement and new wine at the Pezinok Wine Festival, before we return to the city in the evening to explore its narrow central streets and lovely plazas, and stroll the Danube promenade to watch the ships and barges along this busy waterway. 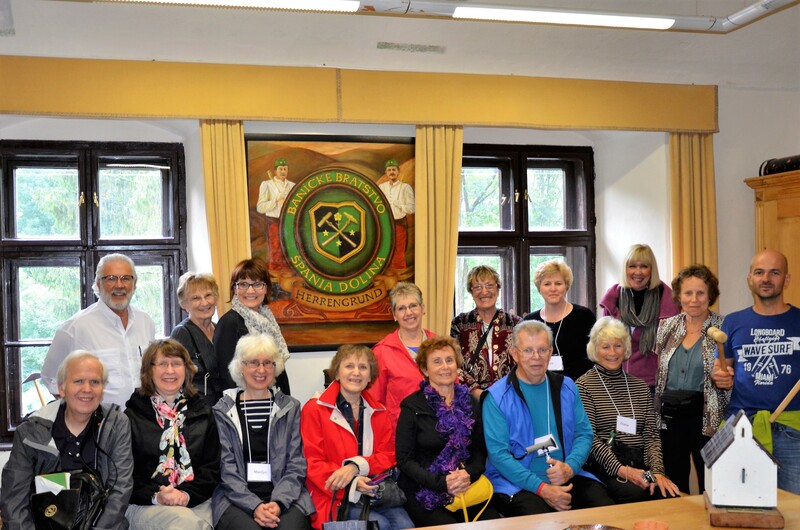 At the close of the tour after breakfast, some people will fly out of Vienna, and others will continue to travel on to Krakow, Poland, or Prague, Czech Republic with a Slovakia Heritage Extension Tour. 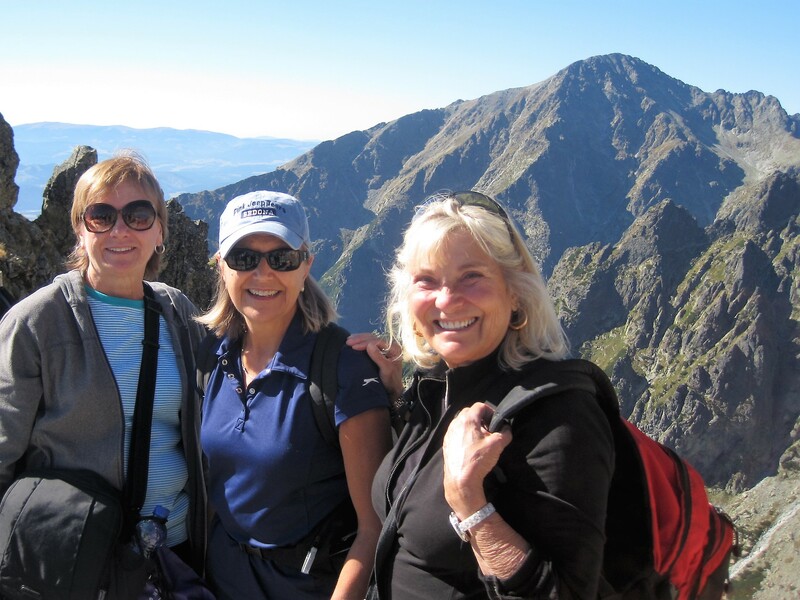 Please see details on the Extension Tours page or call Judy at 978-544-5144 to discuss your personal plans.